We’ve mentioned Taylor Stitch when we talked about their Albion Jacket. They create super cool items for the modern man’s closet and besides the wilderness inspired clothing, they also have a line of wallets. This is where The Minimalist Billfold comes in. It is designed with the same principles as the clothes. This means it’s compact, great for travel and avoids unnecessary bulk. The first thing to know about its construction is that it’s made from a 100% full-grain Spanish cowhide. It also has a tan leather lining and comes in three natural colors. 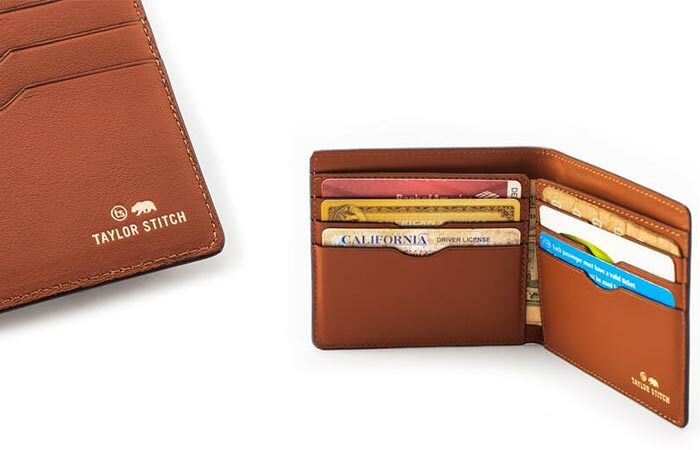 This compact Taylor Stitch wallet is handmade from a 100% full-grain Spanish cowhide. Let us talk about the capacity. 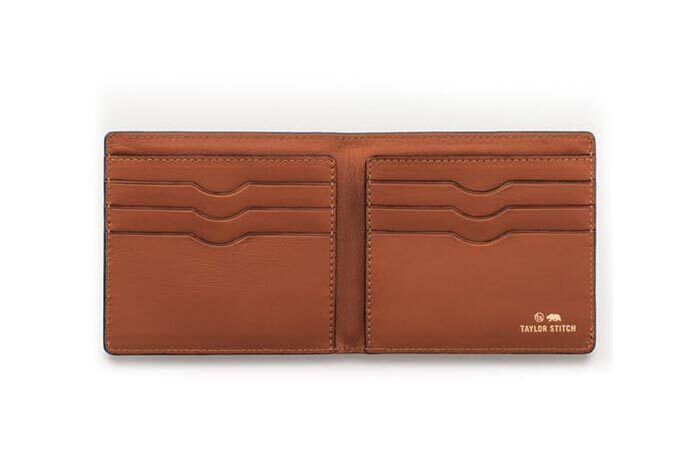 The Minimalist Billfold features a hidden card slot liner, perfect for minimizing bulk. It also has a slim profile and can fit six cards. The cash goes into a separate, main compartment. Finally, the wallet is handmade in Spain and when folded measures 4 x 3.5 inches. It has six card slots and plenty of room for cash.